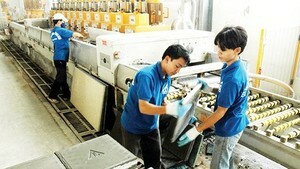 The Vietnam’s benchmark recovered the second day on March 28 amid heavy selling pressure thanks to large cap stocks’ buoyancy. In the morning trading session, selling pressure depressed the market. However, the strong recovery of large cap stocks helped the benchmark to pass the 980-point mark after dropping drastically for several trading sessions since it hit the 1,000-point mark on March 12. Of which, VHM and VIC played a key role in maintaining green on the market with an increase of 3.3 percent and 1.8 percent respectively. Banking shares also posted sharp growth. Particularly, VCB rallied 1.8 percent and BID enhanced 2 percent. Another positive sign in the trading session was that foreign investors net bought nearly VND175 billion on the market. 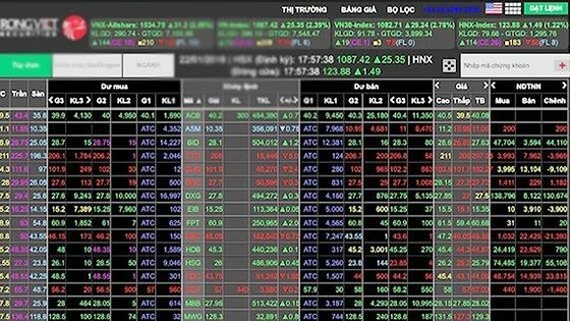 The VN-Index, which tracks the movement of 354 companies and mutual funds on the Ho Chi Minh City Stock Exchange, rose 7.07 points, or 0.72 percent, to close at 982.98 points with 157 winners, 148 losers and 49 stocks remained unchanged. Meanwhile, the HNX-Index of the northern bourse slid 0.22 points, or 0.21 percent, to close at 107.34 points. Among the index members, 73 stocks climbed, 74 receded and 71 stood still. Market liquidity was higher than previous trading session with total trading volume touching 243 million shares worth VND4.5 trillion.